In the construction business, any on-site facility is inherently temporary. Finding sensible, portable solutions are key when your stay on a site is measured in weeks or months. In addition, space efficiency is of the utmost importance, especially in urban areas. At the same time, contractors need to find yard storage that is secure enough to protect valuable equipment from both environmental damage and theft. 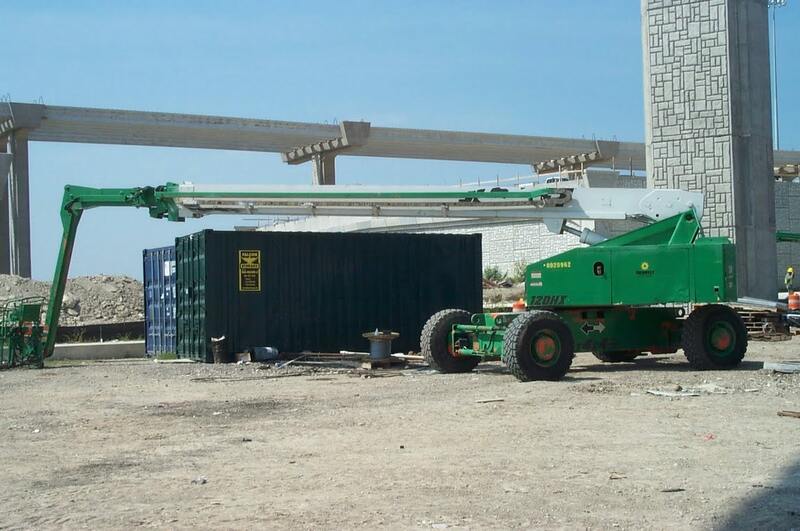 Portable shipping containers are an excellent construction yard storage solution. Security is one of the most important aspects of a construction yard storage solution. Housed materials need to be physically secure. Portable shipping containers are designed to be wind and water resistant. If your equipment is sensitive to temperature or humidity, the container can be equipped with an HVAC system and insulation. In addition, you can control access to the shipping container through the use of secure locks on all of the doors, or even an alarm system. As the name implies, shipping containers are designed to be shipped, which means that they can be easily transported using normal transportation routes. In addition, our modified shipping containers are fabricated for easy set-up, including electrical access when necessary. They are also easy to transplant to a new site, or return to Falcon (if rented), once the project is complete. If you are storing construction materials, you and your personnel need easy access to your equipment. Adding lighting makes it easy for you to see inside of the shipping container. In addition, containers can be equipped with extra-wide doors or roll-up doors to facilitate loading and unloading. Looking for a construction yard storage solution for your business? Give us a call at 877-704-0177.